Home » Gallery » 2.12. Bell Chapman. Belle Chapman (Will’s). Tintype. Album 2. Page 12. We know too little about the image of this infant. 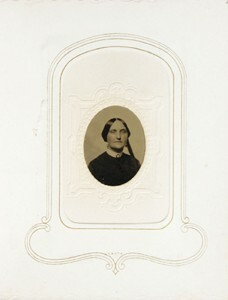 Alfarata’s penciled caption suggest that it may be an image of Belle, the daughter of Arabella’s brother William. Perhaps the child was named for Arabella, and known as her Aunt was by the diminutive Belle. 2.12. 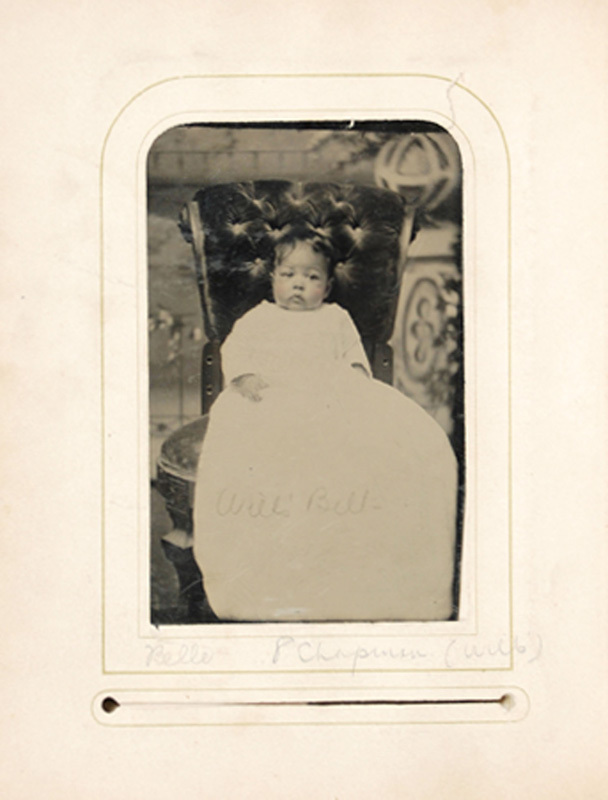 Bell Chapman (Will’s.) Tintype.